1) Pre-heat the oven to 190C / 375F / Gas Mark 5. 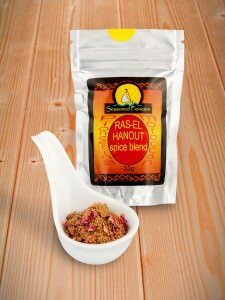 2) Coat the lamb with the Ras-el-Hanout spice blend and place in a large pot. You will need to cook this dish in the oven and on the stove top, so if you have a suitable pot or saucepan that will do both use that – alternatively you may need to use two different vessels and speak very nicely with whoever is doing the washing up! 3) Add the water, olive oil and honey. 4) Place in the oven and bake until the meat is very well done – approximately two hours. 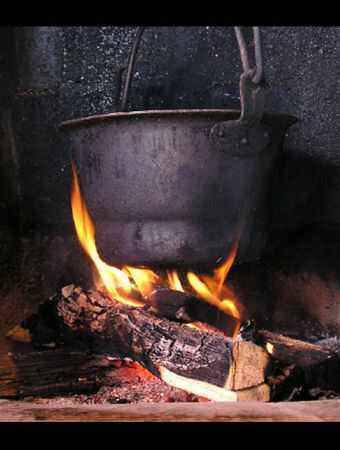 5) Remove the meat from the pot and keep warm. 6) Skim off any extra oil from the stew in the pot then add the raisins. 7) On the stove, simmer the stew until it has thickened and the raisins have cooked through. 8) Return the lamb to the stew and bring back to the boil for about two minutes. 8) Serve with warm bread or rice, garnished with the toasted almonds.